Splitting logs for firewood require a certain amount of skill and technique. Knowing the type of hardwood you are splitting and the tools needed is very important. Splitting wood for your fireplace is best done on cold days as it makes it that much easier. The wood has to be properly aged to have the best results. This chore is hard work, so, if you are not skilled at it, it is best to have someone experienced around to help with instructions. The tools mentioned above for splitting logs are basic and simple. There is no need for more sophisticated tools as they will take the fun and added a sense of achievement from doing the job. Although some persons prefer using electric saws for log splitting, experts will swear by their manually doing the job to be more exhilarating. The exercise and physical wellbeing you get from doing the work by hand you can never get from using modern tools. Ensure you have a level clear area for splitting your logs. Never use a concrete surface or any surface that is liable to give way under pressure while hammering away at the logs you are wanting to split. There should not be any low hanging limbs that may get in the way of your tools while working. Position the sturdy chopping block in the clear area and assemble your tools. The tools you are using are for different purposes. 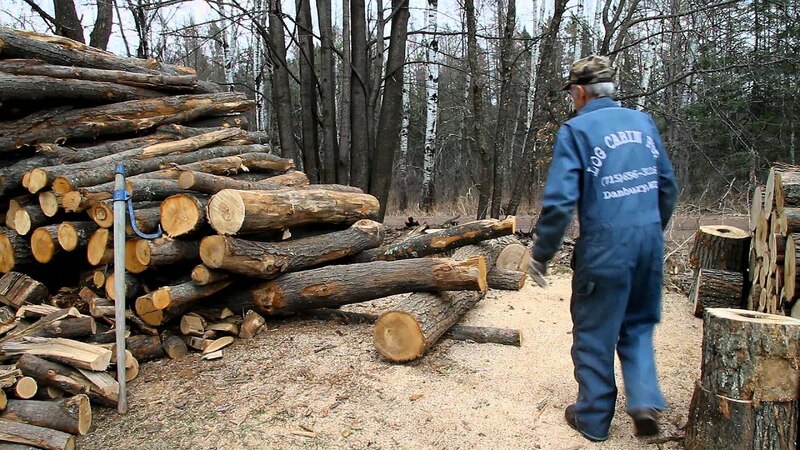 For example, the ax is needed for splitting small logs that are drier and easier to handle. Because the ax is lighter than the maul it will handle better for these jobs. The splitting maul is used for splitting large pieces of logs. The sharper edge is needed for this, while the blunt side is used to hammer a wedge into the split of the log so enabling the log to split fully. A wedge is used as mentioned to drive into logs that are harder to split. The wedge is placed in a seem or split in the log and “wedged” into the split. The blunt side of the maul is then used to hammer it into the split so as to drive it through continuing the split until completely open. Using the hammer is basically a simple task. It is used similarly to the blunt side of the maul. The hammer is used to affix the wedge into the log or wedging the wedge into an already started seem. This sets the wedge in place for the maul to be used to split the log. Now that we understand basically how each tool works, it is just as important you understand the need for proper clothing when splitting logs for firewood. * The leather gloves are for protecting the hands from splinters, getting callose or damage from possible pinching or cuts from splintered wood chips. * The steel-toed shoes are very important as they protect your feet from accidents like logs falling on your feet, missed ax or maul that may come in contact with your feet or toes. It is basically the best footwear to use when splitting logs. * The thick pants, as well as shin guards, are also protection from flying splinters, wood chips or even the maul or ax that may accidentally miss the mark and come in contact or near your legs. * Protective eyewear speaks for themselves; it is basic protection from flying wood particles or splinters during log splitting. 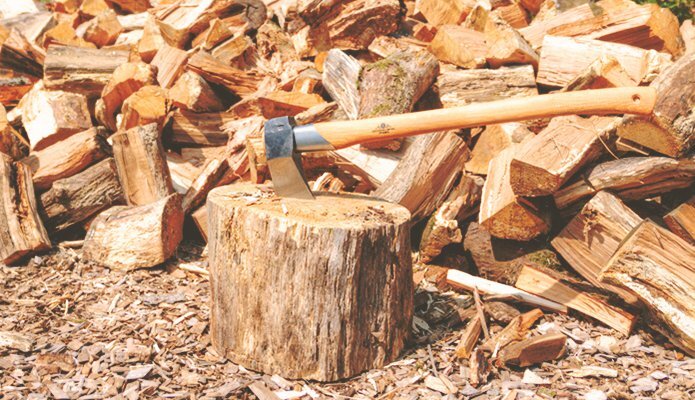 Although splitting logs for firewood is hard work, being able to do the job right while adhering to the above tips will help and make the work much more enjoyable and safe. It is also helpful to know the types of wood you will be working with, which will help in determining the right tool for the job.